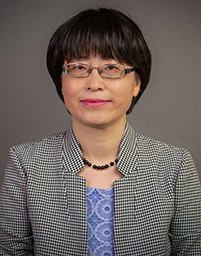 Dr. Zhang's current responsibilities include managing the task of the Statistical Standards Program, developing, analyzing, and writing topical and annual reports for the Annual Reports Division of National Center for Educational Statistics. She was also a fellow with the Education Policy Fellowship Program sponsored by the Institute for Educational Leadership. Dr. Zhang’s research has focused on teacher quality, teacher unions, teacher retention, and the economics of schooling through applying quantitative methods, such as multi-level modeling and quasi-experimental designs.